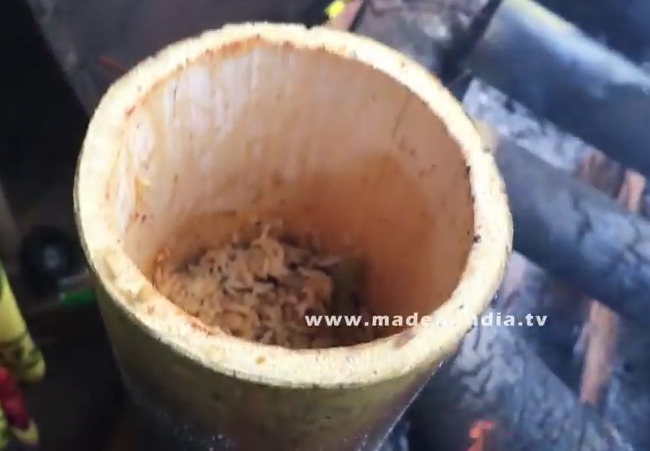 Rice and chicken mixed in spices stuffed into a piece of raw bamboo log that goes on natural fire till outer later becomes charcoal, is Bamboo Chicken Biryani as made by the tribes of India. The wood of bamboo is an extremely hard material with a hollow inside that has segmented air pockets of which each serves for a single portion. The bamboo pipe is enclosed with green leaves making the steam blocked while food gets cooked. Result is the rich flavour of bamboo extracted by the circulating steam while aroma of food itself remains largely contained. The richness of flavour makes this tribal dish one of my favourites. Today you can buy this dish from street food stalls in many parts of India. 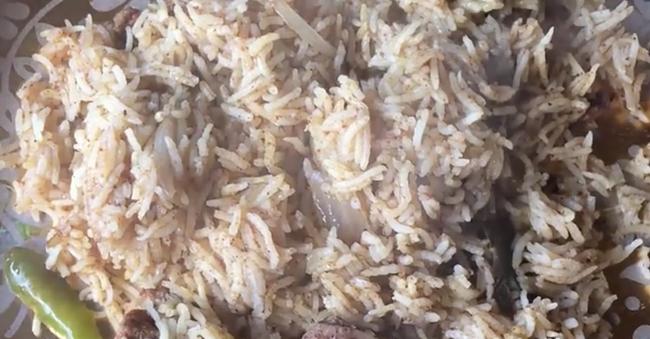 There are many Maldivian resorts that have Indian restaurant but Bamboo Chicken Biryani is yet to make it to the Maldives. There is Swarna at Jumeirah Vittaveli, Tandoor Mahal at Kuramathi or Baaraabaru at Four Seasons Kuda Huraa to name a few Indian restaurants in the Maldives. But, which of these will be the first to serve the centuries old Indian tribal dish that you probably never tasted? Maldivian resorts import most of the products from overseas, including charcoal. Raw bamboo is no difficult to source if you really want to introduce a new experience to your guests. There is still room to grow and bring innovation in simple things. But, which resort will be the first? Click a SHARE button to encourage resorts to introduce Bamboo Chicken Biryani.